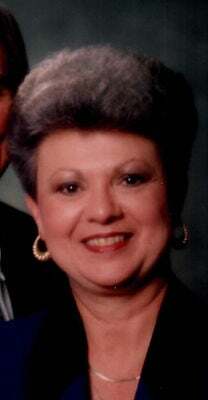 Betty Lou Burns, 74, of Matagorda, Texas passed away January 27, 2019. She was born October 25, 1944. Her parents Dale and Gladys Withrow preceded her in death. Survivors include her husband, James W. “Jim” Burns; daughters, Tina Keen and husband Troy, Deenae Eastwood and husband Ron, Aisha Burns and Alise Burns; son, Craig Cashion and wife Kim; sister, Frances Elder and husband Steve; grandchildren, Maegan Griffith and husband Michael, Leighton Keen, Wade Bluda, Tate Bluda, Cullen Cashion and Truett Eastwood; and great grandchild, Walker Keen Griffith. Visitation will begin at 1 p.m. Thursday, January 31, 2019 at Taylor Bros. Funeral Home in Bay City, Texas. Funeral services will follow at 2 p.m. with the Rev. Tom Quirk officiating. Interment will be in the Matagorda Cemetery. Pallbearers will be Leighton Keen, Cullen Cashion, Charles Clark, Wade Bluda, Tate Bluda and Bryan Long.